The whole outdoors is a delicate green veil of new leaves, providing good hiding places for critters of every size and providing a feast for our winter-weary eyes. Blessings to you this week. So begins this week’s edition of ETERNAL PERSPECTIVES, devotions from my writer friend, Sally Bair, who lives and writes in Washburn, WI on beautiful Lake Superior. Sally’s weekly online devotionals are always insightful. This week’s was so good that I asked her if I could share it with my D-mail readers. Thank you, Sally for your permission. I recently wrote about the curtain, or veil, of the temple being torn in half when Jesus died on the cross, allowing total access to God. No more blood sacrifices are required for our sins, since Jesus sacrificed His own blood on our behalf. Prayer: Lord, You’ve opened the veil so we can have fellowship with You. Help us to keep it open every day, regardless of our circumstances and feelings. In Jesus’ name, Amen. p.s. 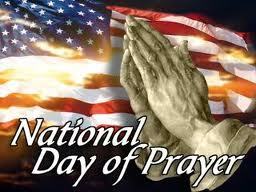 Please pray this week for the victims of the many tornados that have ripped through our nation’s midsection. My daughter, who just moved to Bloomington, Indiana in Tornado Alley, says she’s never spent so much time examining the sky or listening for sirens as she has this spring. Take care all and remember to honor the men and women in our military this Memorial Day, as well as those veterans who gave their lives for our freedom. Fly the flag, thank a vet, and say a prayer. When there are concerns in my life that just keep buzzing around in my mind or gnawing at my stomach, I will write them out as sticky note prayers and stick them on my bathroom mirror. Somehow just getting them out on paper seems to help me release them to God. When God has taken care of them, I take them down from the mirror. Occasionally, there are truths that I need to be reminded of, which become sticky notes on my mirror as well. Here are a few of them. * Worry is borrowing trouble from tomorrow. * Don’t let worries get the best of you; remember, Moses started out as a basket case. * Anxiety is the space between now and then. * Courage is fear that has said its prayers. * Worry often gives a small thing a big shadow. * The will of God will never take you where the grace of God cannot keep you. * Go look out a different window. * Pain is inevitable, but misery is optional. * Life isn’t about waiting for the storm to pass; it’s about learning to dance in the rain. * Sometimes He calms the storm and sometimes He calms His child. * Faith is living with invisible means of support. * In the kingdom of hope there is no winter. * It is no disgrace to move out of the path of an elephant. * Stop telling God how big your storm is; instead tell your storm how big your God is! * Don’t let someone live rent-free in your head. Forgive. * For a child of God, prayer is kind of like calling home every day. Put His number on speed dial. * Many folks want to serve God, but only as advisers. * Coincidence is when God chooses to remain anonymous. * If God is your do-pilot, you’d better swap seats! p.s. Remember, God always bats last! If you were one of the 22 women who were with me in Milwaukee, Wisconsin last Saturday at the inner city mission, City on a Hill, you will recognize the devotion I am about to share. That morning Diane de Los Santos, the executive director of City on a Hill, spoke to our group about faith, sacrifice, and reward. Her message really spoke to me and I would like to share what I learned with you. Have you been asking God for something really important for a long time? Have you been in such desperation or need that only God can hear your cries? The good news is that God does hear the cries of his children, especially when they are willing to do whatever it takes to receive his provision. There are many examples in the Bible of people in this very position, but let’s look at four women, Hannah, Ruth, Rahab, and the widow at Zarephath. In other words, Hannah promised God that if he would give her a son, she would give up the child to be raised at the temple and serve God there for life. Eli, the priest, heard Hannah weeping and thought she was drunk. But when Hannah explained her plight to him, he replied, “Go in peace and may the God of Israel grant you what you have asked.” I Samuel 1:17 Hannah’s faith was so firm that the Bible says she went her way and ate something and didn’t cry anymore. By the following year, Hannah had given birth to a son and named him Samuel. You would think that after all that, Samuel would be so precious to Hannah that she would want the boy with her always, but Hannah was true to her word and gave Samuel up for Eli to raise. Not only that, but she prayed a prayer of praise and thanksgiving to God (which takes ten verses to record!) God rewarded Hannah for her faith. I Samuel 2:21 says, “And the Lord was gracious to Hannah; she conceived and bore three sons and two daughters.” Hannah gave what she had to the Lord and He returned more to her than she could have ever imagined. When the Israelites were about to enter the Promised Land, Joshua sent spies to the walled city of Jericho to check on its defenses. (Joshua 2) There the spies hid out in the house of a prostitute named Rahab. However, the king of Jericho tracked the spies to Rahab’s house, which stood along the city wall, and demanded that she surrender them. Rahab told the king’s men that the spies had been there earlier but had escaped out the gate. She told the king to hurry after them. While the king’s men were out on that wild goose chase, Rahab sneaked the spies over the wall. Before they left, she begged for mercy, “Now then please swear to me by the Lord that you will show kindness to my family because I have shown kindness to you. Give me a sure sign that you will spare all of us from death.” Joshua 2:12-13. The spies agreed. They told Rahab to gather her family inside her house and to hang a scarlet cord on her door, which would be the sign to spare all under that roof. Rahab was a prostitute, a woman of the lowest class, and an enemy of Israel, yet she was willing to stick her neck out for the Israelites. Not only did God reward her by saving her household, but if you read Matthew 1:5, you will find Rahab one of only two women listed in the geneology of Jesus Christ, an honor we still read about today. So God honored Ruth for her faith so that she, a Moabite, became the great grandmother of Israel’s greatest king. There are many, many other stories in the Bible of those who lost or gave to God everything they had (which in most cases was very little) , people like Job and these four women. Because of their faith, God returned to them more than they ever had in the first place. We hang on so tightly to what we have, when God is willing to give us much more if we trust him. Benjamin Hartman, the CEO and owner of a successful business, was nearing retirement and decided it was time to choose a successor to take over the business. He felt that none of his children were interested nor capable of taking over the helm. His board of directors were all aging themselves, so he decided to do something different. He called all of the company’s young executives into his office. After they were all seated around the board table, Hartman began. “It is time for me to step down and choose the next CEO. I have decided to choose one of you. “The young executives were shocked to say the least, but the boss continued. “I am going to give each one of you a seed today - one very special seed. I want you to plant the seed, water it, and come back here one year from today with what you have grown from the seed I have given you. I will then judge the plants that you bring, and the one whose plant I choose will be the next CEO.” The executives were afraid the old man had lost his faculties, but none of them wanted to lose out on the opportunity so each took their seed. One of the up and coming executives, Jim Fields, received a seed like his colleagues. He went home and excitedly told his wife the story. Even though she thought it was a strange way to do business, she helped him get a pot, soil and compost and he planted the seed. Everyday, he would water it and watch to see if it had grown. After a few weeks, some of the other executives began to talk about how their plants were beginning to grow. Jim kept checking his seed, but nothing ever grew. Three weeks, four weeks, five weeks went by, still nothing. By now, others were talking about how big their plants were growing, but Jim’s seed had produced nothing. He felt like a failure. Six months went by — still nothing in Jim’s pot. He just knew he had killed his seed. Everyone else had trees and tall plants, but he had nothing. But Jim didn’t say anything to his colleagues. He just kept watering and fertilizing the soil. He so wanted his seed to grow. When Jim got to the front, he set his plantless pot on the table. “Mr. Fields, what happened to your seed?” Hartman asked him. So Jim told him the story. “…and so, sir, I decided that it was best for me to just be honest with you,” Jim finished. Mr. Hartman asked everyone to sit down except Jim. He looked at Jim, and then announced to the executives, “I’d like to introduce you to your next Chief Executive Officer, Jim Fields !” Jim couldn’t believe it. But Mr. Hartman,” Jim said. “I couldn’t even get my seed to germinate, much less grow into anything! How could I be the new CEO?” The others murmered in agreement.